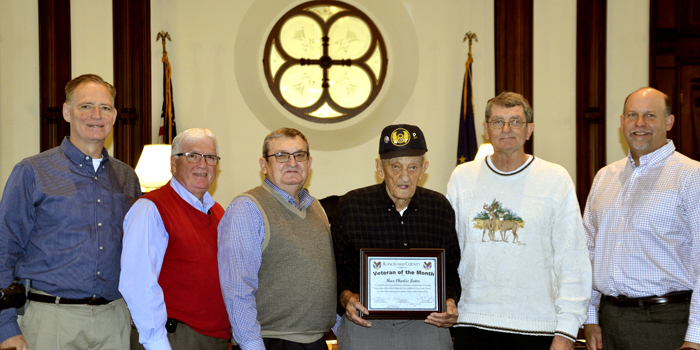 KOSCIUSKO — Max Charles Leiter, Sidney, was honored as Veteran of the Month at the Kosciusko Commissioners meeting held Tuesday, Nov. 13. Leiter was born in 1922 to Flossie (Johnson) and Charles Leiter in Jackson Township near Sidney. As a youth, he worked on the family farm. In his free time, Leiter spent time in the fields and woods. 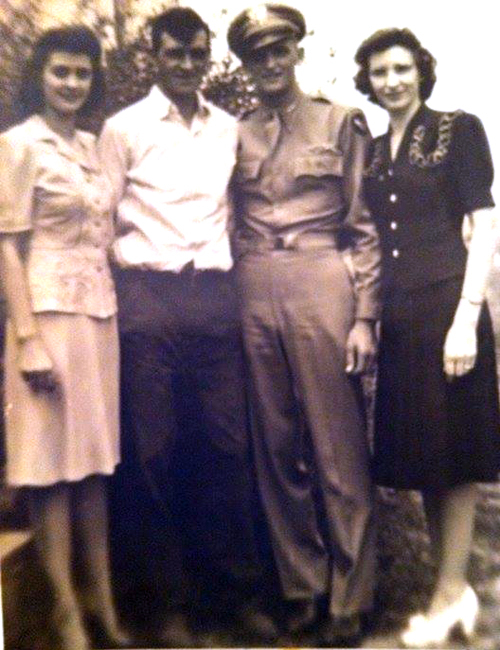 Pictured, from left, are Leiter’s sister, Delores Gaff; his brother, Eugene Leiter; Max Leiter; and his sister, Irene Barnes. Leiter graduated in 1940 from Sidney High School. He enlisted in the Army Air Corps after graduation, training on the B-17 Flying Fortress as a bombardier. His 487th Bomb Group, out of Lavenham, England, flew 35 missions over Europe, mostly targeting German infrastructure to incapacitate the Nazi effort. The Nakielny Crew, to which Leiter was assigned, was able to answer the call for next mission though many times they returned with holes in their plane from anti-aircraft fire. The worst damage occurred during their first mission after arriving in England when one of their engines was hit with anti-aircraft fire, forcing them to return to base with three engines. 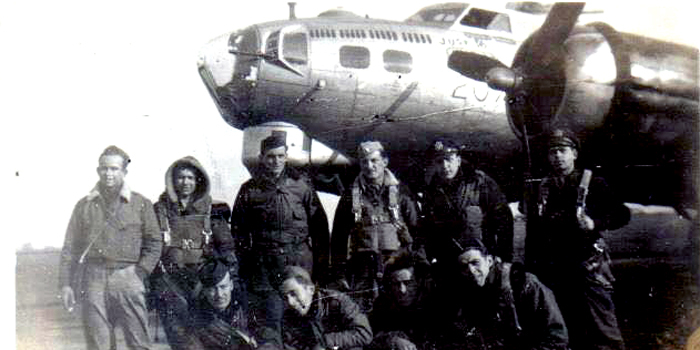 The 487th Bomb Group led the 8th Air Force on the Christmas Eve 1944 mission to support the Battle of the Bulge. When Leiter returned after being overseas, he was sent to Texas to train bombardiers. Shortly after his arrival in Texas, the first of the bombs was dropped on Japan, leading to the end of the war. Leiter made the decision to return to his family farm, south of Sidney. There he met Doris Raypole from South Whitley. They married in 1946. Soon after his return, he was given the opportunity to join the newly-formed Air Force Reserve. In 1982, after 26 years of service, Leiter retired as a major from the Air Force Reserve. The Leiters have three sons, John Leiter, Columbia City; Tom Leiter, Columbia City; and Mike Leiter, Naples, Fla. 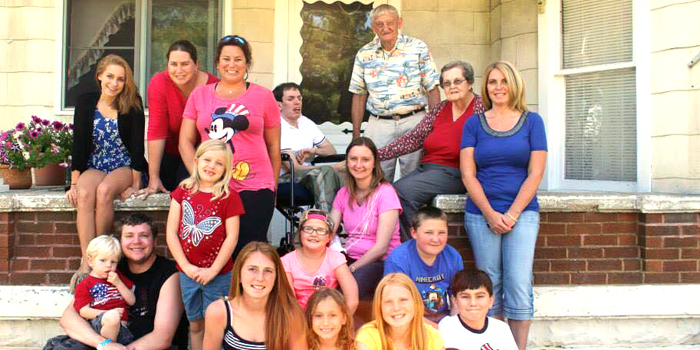 They also have several grandchildren and great-grandchildren. Leiter began working in construction after he and Doris were married, eventually starting his own company, Leiter Construction. He was later joined in the business by Tom. In late 1969 they moved to Florida where Leiter continued working in construction. After residing in Naples for several years, Max and Doris became snowbirds, returning to Sidney during the summer months. “My grandpa is an amazing man who loves his country and especially his hometown,” said Leiter’s granddaughter, Mindi Leiter-Lopez, Naples, Fla.
Leiter’s son, Michael, said he has always been proud of his father, who taught him to respect those who gave service to our country. Leiter is pictured here with fellow comrades. He is fourth from the left, wearing the vest. Four generation family photo includes Max and his wife, Doris, with their three sons, grandchildren and great-grandchildren.